One of the things that makes Pinhay a fascinating place to live and work is the history behind it. Below is the story of John Ames who’s time at Pinhay wasn’t without controversy! 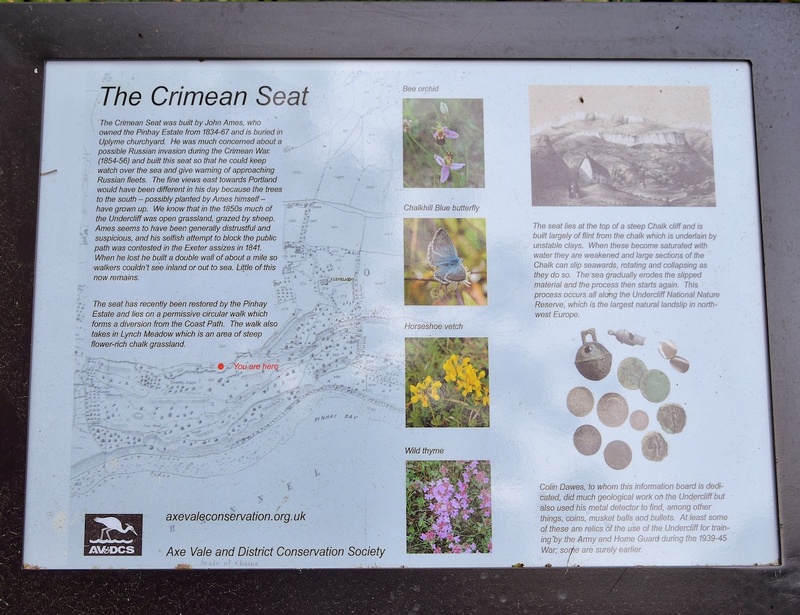 ‘The Crimean Seat was built by John Ames who owned the Pinhay Estate from 1834-67 and is buried in Uplyme churchyard. 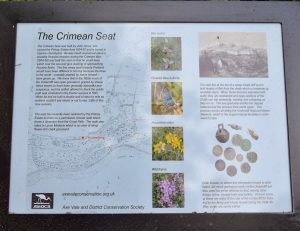 He was much concerned about a possible Russian invasion during the Crimean War (1854-56) and built the seat so that he could keep watch over the sea and give warning of approaching Russian fleets. The fine views eastwards towards Portland would have been different in his day because the trees to the south – possibly planted by Ames himself – have grown up. 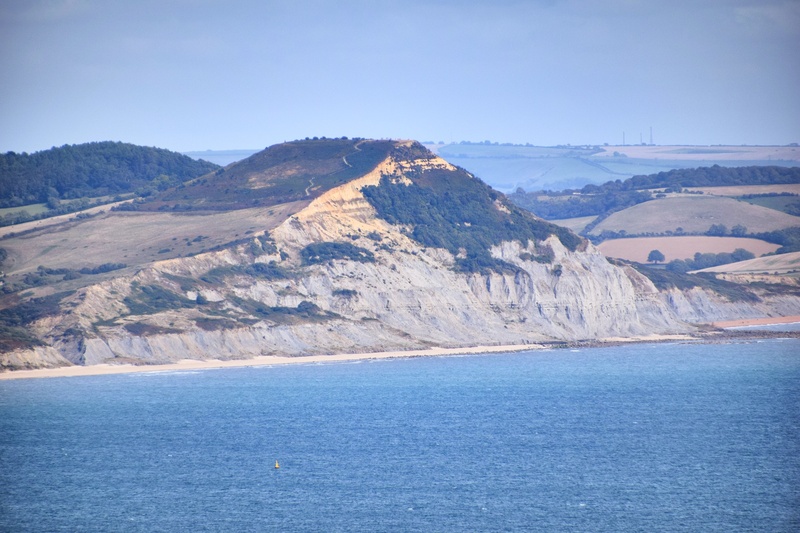 We know that in the 1850’s much of the Undercliff was open grassland, grazed by sheep. Ames seems to have been generally distrustful and suspicious. and his selfish attempt to block the public path was contested in the Exeter assizes in 1841. 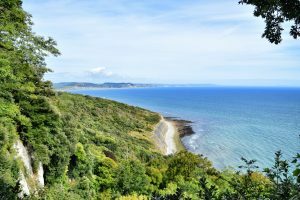 When he lost he built a double wall of about a mile so walkers couldn’t see inland or out to sea. Little of the wall now remains’. The court case heard in Exeter in 1841 was after a number of years of Mr Ames blocking access across his land. 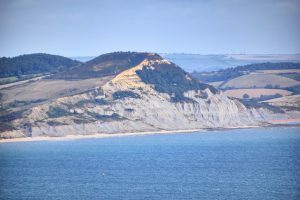 In those days, fisherman would occasionally be forced to beach their boats in bad weather at Charton Bay (just below the Rousdon Estate) and walk the coastal path back to Lyme. Ames blocked the path and refused access. 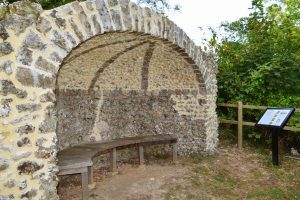 He was taken to court and lost, and as it says above he built basically an “alleyway” for the people to walk through across his land. 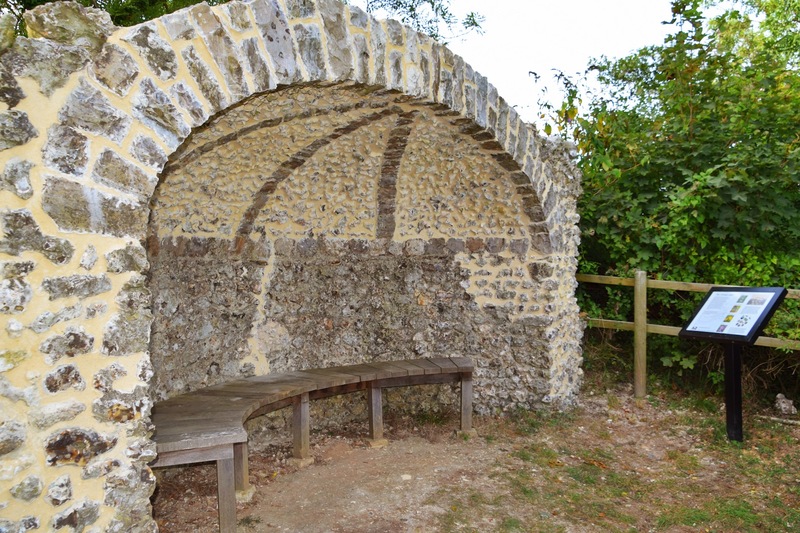 The instability of the Undercliff meant that the walls were always moving and needing to be repaired. Papers show that the court costs against him were in excess of £10,000 this would equate to around £1.5 million at todays value! Not an inconsiderable sum to fight for your privacy! Add to that the costs of building and maintaining the walls, and you are looking at probably spending around £3 million pounds today to keep people out!